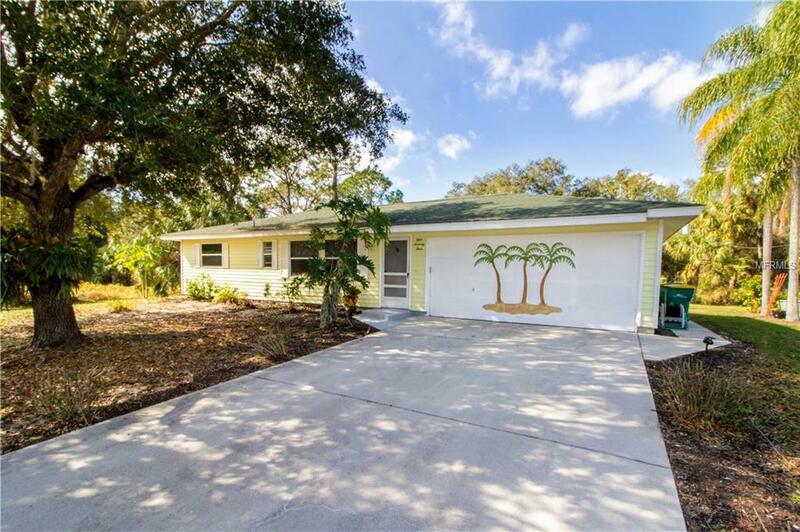 Adorable home on a beautiful lot in a great location. When you drive up to this home, the first thing you will notice is the custom artwork on the garage door, inviting you in. The garage has a lot of storage space and parking for your motorcycle and a car. The home has tile floors throughout for easy maintenance. A good size living area with vaulted ceilings give plenty of space for your sectional and furniture. The cu dining area is open to the living room is currently used as an office area. For added living area, the lanai is a large all-weather room 14 X 42 with lovely French doors accessing the backyard. Replacement of plumbing was permitted and completed in 2014. Close to shopping, major highways, activities and of course the beaches.